These Comp Cams billet roller cams unlock major power for the 2011-2014 5.0L Mustang GT. Designed specifically for the Coyote engine, these camshafts are counter balanced and work with phaser limiters to produce optimum safe power. 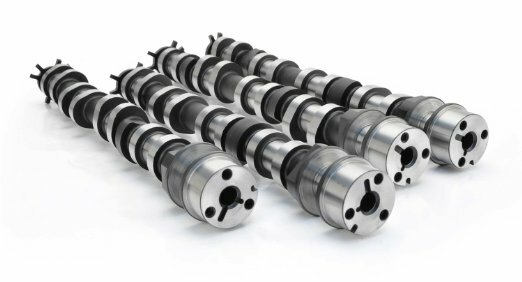 The larger than normal lobe size on the Ford OHC is unlike any other cam-in-block engine, and the dangerous harmonics that come with these big lobes must be addressed for high performance. Comp Cams has engineered these phaser-friendly cams with an exclusice integrated counter balance design that cuts down on vibrations and reduces overall harmonics to ensure a smoother operating valve train.